This July 29-30, 2015 in Montreal, Quebec, Acquisio is hosting a Summit which promises two days of big reveals, learning and presentations from new CEO, Marc Poirier, and other industry leaders including John Lee, Jeff Allen, Lee Goldberg, Brad Geddes and more! 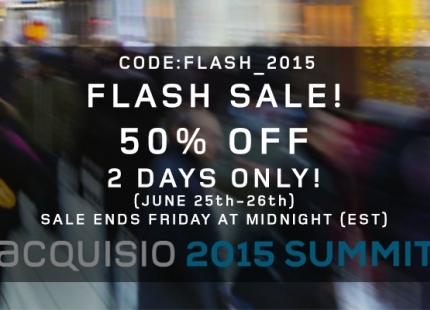 For two days only (yesterday and all day today) you can register for the Acquisio Summit for 50% off! Sponsored by Bing, Yahoo and YP; witness some of the biggest players in the digital marketing industry announce exciting changes to their offerings, including new releases, projects and more. Save $300 on admission until tonight at midnight! 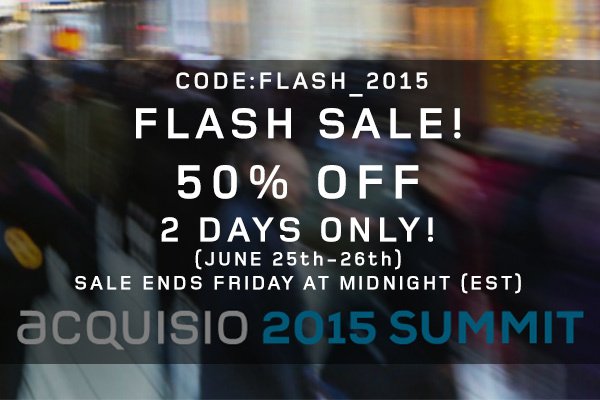 Use the coupon code: FLASH_2015 on the registration page.